Great investment property. Close to downtown & I-75. Recently renovated duplex. Sellers also has 3 additional neighboring properties; all can be sold as a package. Each unit is 1BR/1BA and rents @ $350/month. New windows, plumbing & metal roof. Great investment duplex property. Recently renovated including roof. Close to downtown & I-75. Sellers also has 3 additional neighboring properties; all can be sold as a package. Each unit has 1BR/1BA. This is a duplex currently being rented as 1 unit. Rented @ $350/month. This 3 bedroom 1 bath home has great potential for owner occupants or investors. Just needs some finishing touches. 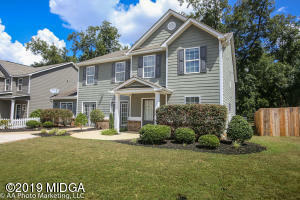 Super convenient location close to many shopping and dining establishments. This adorable traditional style home is the perfect family starter home for you! It has a beautiful kitchen area and living space that is completely open. 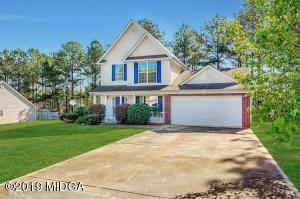 This 4 bedroom and 2 bath with a half bath is wonderfully built and perfect for you! You are in a wonderful neighborhood with no HOA fees. Come check out this cute home! Charming Ingleside cottage with 3 bedrooms, and 2 baths. Private fenced back yard with quaint shed. Convenient location. Cute, Country Monroe County home on 3+ Acre lot with privacy fence backyard, screened back porch, fenced garden spot with an outbuilding w/lean-to. Split Bedroom floor plan. Spacious Great room with gas logs. Large Master bedroom features tray ceiling, nice walk-in closet, with dual sinks in bathroom that has garden tub and separate shower. New HVAC. Conveniently located between Forsyth & Jackson. Minutes from Dauset Trails hiking/biking, Indian Springs, Highfalls State Park, & beautiful Down town Forsyth. Only 6 miles from I-75 N.